This universal Cyclo Cross tubular is suitable for most conditions including the most difficult cyclo cross terrains. The tread has been designed to shed mud more readily. The aggressive tread pattern provides excellent traction and predictable cornering in almost any condition. Despite the aggressive tread pattern this model has low rolling resistance and can be used successfully on dry terrain and hard pack. Excellent puncture resistance. Cyclo Cross tubular suitable for most conditions except deep mud, where you would want to use the Cubus. The unique tread pattern is self cleaning and aggressive, ensuring excellent traction. Special side ridges provide stable cornering. Low weight while offering good puncture resistance. 60/90 TPI, Carbon tread compound. 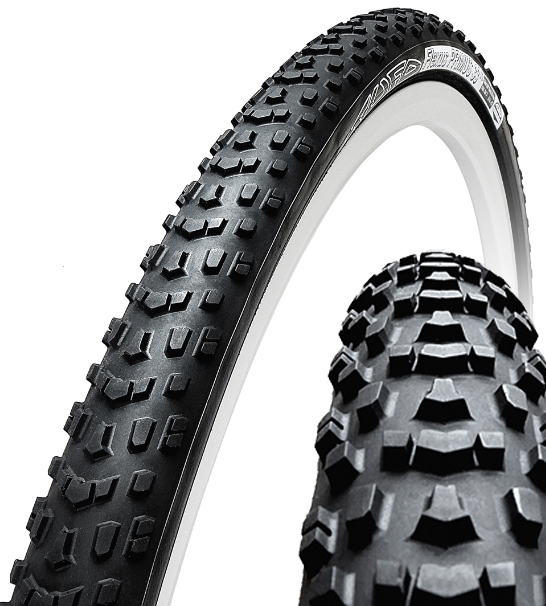 This universal model is suitable for most conditions including the most difficult cyclocross terrains. 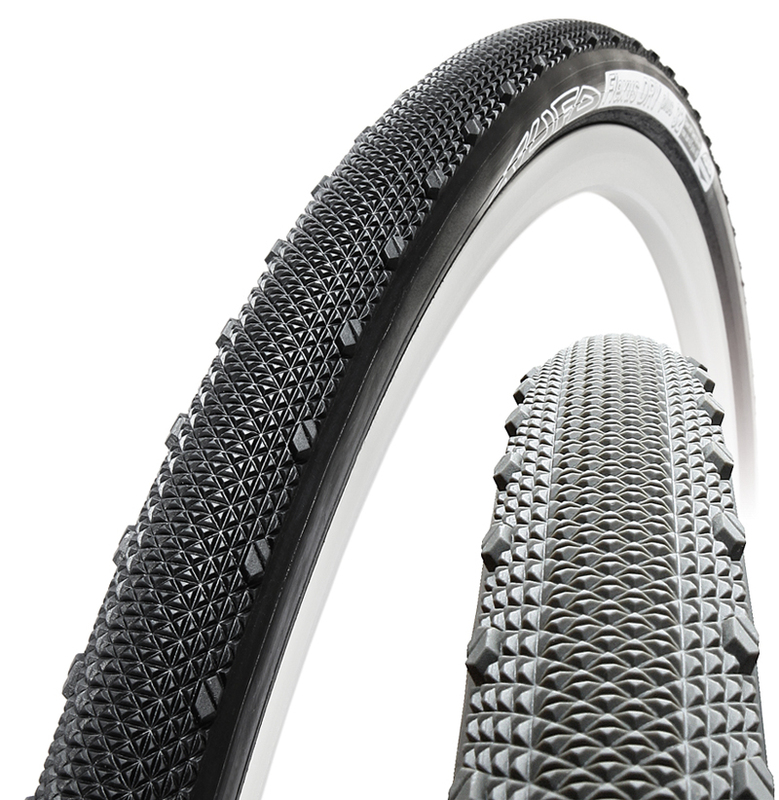 In spite of the aggresive tread pattern, this model has very low rolling resistance and can also be used on dry terrain and hard pack. Specially formulated soft tread compound enhances the tyre shock absorption. Available in all black or grey tread with black sidewalls. Excellent puncture resistance! 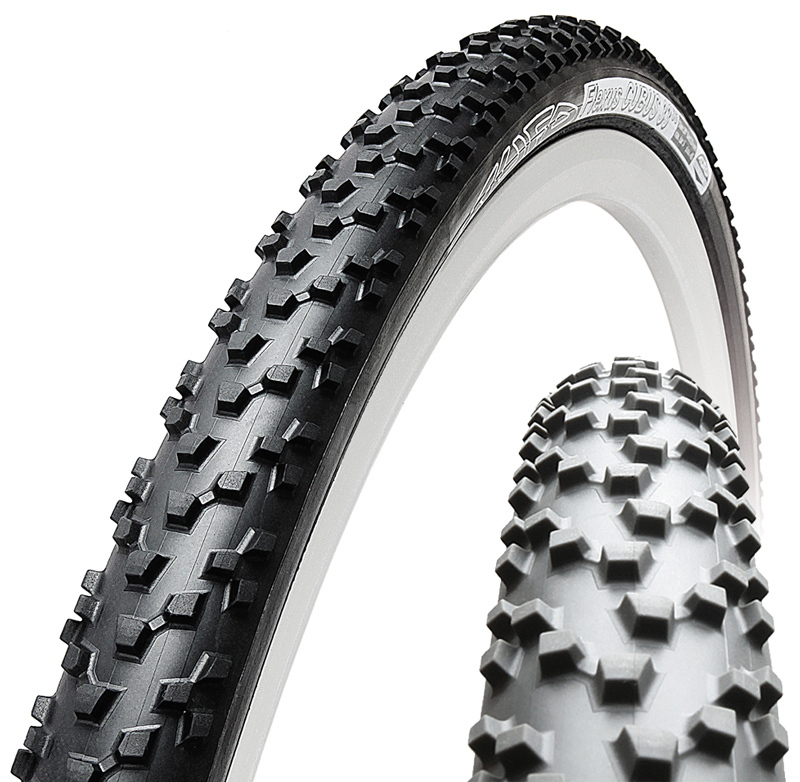 Cyclo Cross tubular suitable especially for dry, sandy hardpack as well as snow and frozen terrain. The fine tread pattern with special side knobs makes for a light sure footed ride with predictable handling in corners. Excellent puncture resistance. The specially formulated soft tread compound has outstanding shock absorbing properties. Cyclo Cross tubular suitable for most conditions except deep mud, where you would want to use the Flexus Cubus. The unique tread pattern is self cleaning and aggressive, ensuring excellent traction. Special side ridges provide stable cornering. The specially formulated soft tread compound has excellent shock absorbing properties.